This paper replicates the study of Topalova (2010), performs a robustness check, and extends the findings by applying the estimation technique to the economy of Thailand. Topalova (2010) found that trade liberalization in India has heterogenous effects on poverty and household consumption. More specifically, districts in which production sectors are more exposed to trade openness, experienced less poverty reduction and slower consumption growth. The effects of trade reform on poverty have been extended to a squared poverty gap, and the results are robust to other poverty measures. 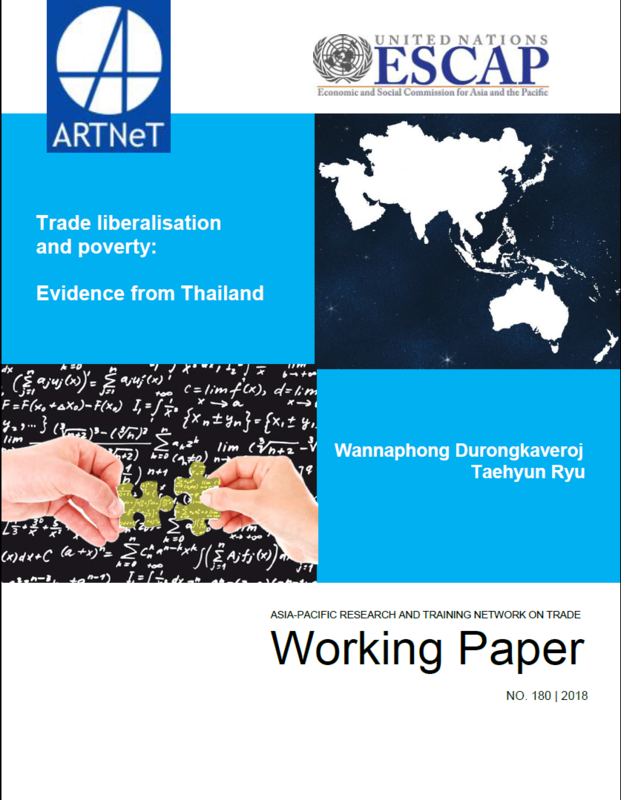 We then apply the methods to Thailand by examining the relative effects of accession to the WTO in 1995, and find that poverty reduced more in provinces with a greater exposure to trade reforms. Labour mobility is a potential channel underpinning this effect. Furthermore, these impacts are more pronounced on the poorer samples and urban areas.